If you are the type of person that thinks “when the gold price is going down” its not time to “invest” in this precious metal, then maybe you will be actually waiting for the price will to go up to sale. Check out what the major investment bank in China does when the price goes down. The People’s Bank of China, China’s central bank, is the world’s biggest gold hoarder and the bane of Wall Street traders, reports the Chinese-language financial news website BwChinese, citing a Hong Kong financial analyst. Leung Hai-ming told the portal that China’s central bank took advantage of the US Federal Reserve’s quantitative easing program in 2013, when the price of gold fell by 27%. The bank bought in over 1,000 tonnes of gold, representing almost one third of the world’s 3,756 tonnes last year. There is reportedly less than 180,000 tonnes of gold reserves left, and only 20% of that remaining gold is tradable. 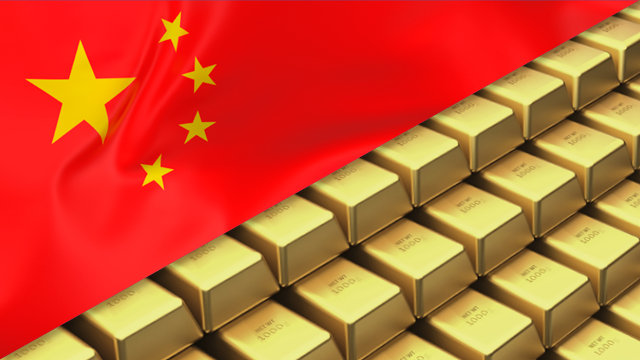 This means that the People’s Bank of China will likely keep hold of the gold, limiting the gold trading volume — a concern for both the US government and Wall Street traders. Leung said that the US Federal Reserve loans gold to investment banks such as Goldman Sachs, Citibank, JPMorgan Chase, Morgan Stanley and others every year to trade in the market. The amount of gold ranges between 400-500 tonnes and the move acts to artificially suppress gold prices. When the prices are in their favor, these investment banks buy back the gold and return it to the Fed. 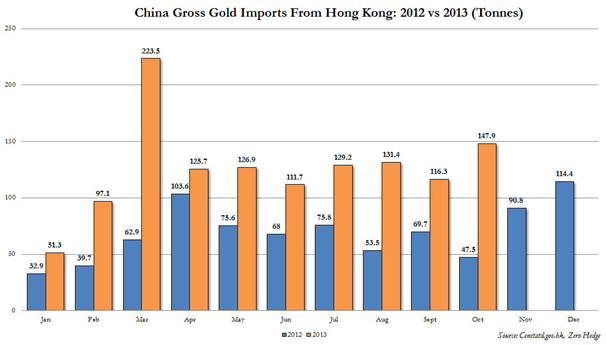 But this measure is absolutely useless because China’s is hoarding the gold and does not follow the rules, Leung said. When it sees that gold prices are going down, the first thing it does is buy them, and does not sell when prices continue to fall. It seems that Wall Street cannot do anything to counter China on this, according to Leung. The analyst said that the People’s Bank of China is putting pressure on Washington and Wall Street as the US dollar has been linked with gold prices since its rise as the leading global currency. The Fed hopes to manipulate gold prices in its favor, Leung said, but the Chinese central bank is standing in its way. The 99% of the population has to understand to “protect” the money that already earn. Take a chance of the lowered price and buy 1 gram at a time…. on your own time, no obligations, free account and be ready for the new monetary policy. Depending on just a piece of paper (Fiat Money), is so dangerous for your family’s economy, people need to have a real “gold currency” click Here for more information.